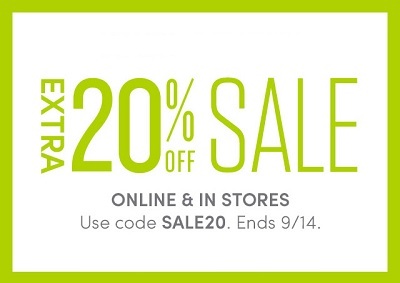 Last two days of extra savings at Athleta stores in the United States. Take an additional 20% off! Valid on selected merchandise. Online use promo code: SALE20. Source of the information is Athleta. More details available at Athleta stores or online. Offer ends 09/14/2015.